Owned by the Dunlopillo bedding company, Sherwood mattresses offer variety and style designed to fit your needs and budget. Land of Sleep offers Sherwood mattresses along with our other leading brands, giving our customers a wide range of choices. We see Sherwood mattresses as another way to fulfill our obligation to you in offering a restful night’s sleep. 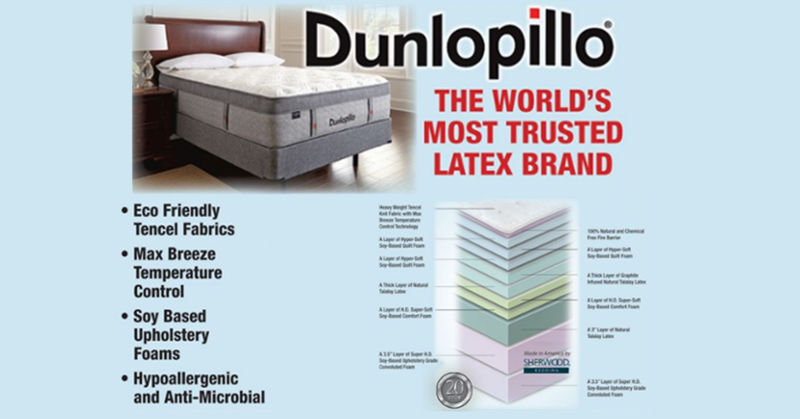 Like all of our award-winning brands, Dunlopillo Mattresses have gained the respect of customers through years of research and development. That quality, coupled with the knowledge and helpfulness of Land of Sleep’s courteous staff, means that you’ll get a healthier, more restful night’s sleep. Whether you come in to visit our Venice location or the one in Sarasota, we assure you that you will have an enjoyable, informative experience to remember us by. 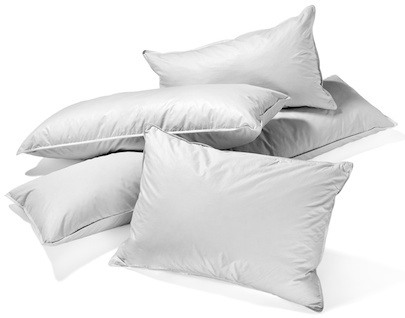 A pillow is not just a pillow and choosing the right one can mean the difference in a good nights sleep or waking up with an achy neck. There are many different types of pillows to choose from, but which kind is the perfect pillow for you?